Potterheads were graced with three new Hogwarts ebooks on Tuesday — each of which comprises previously-published essays from Pottermore, as well as brand new writing from J.K. Rowling. The books have been met with mixed reception, as some readers resented spending money on material they'd already seen, while others were thrilled to have so much information collected in one place. But there's one thing we can all agree on: we want these books in hard copy! If you're anything like me, you probably have a whole bookshelf dedicated to Harry Potter books and merch. (That's normal, right?) Even if you're reluctant to splash out on these ebooks when you can read most of the contents online for free, it would be hard to resist displaying those gorgeous covers on your shelf. 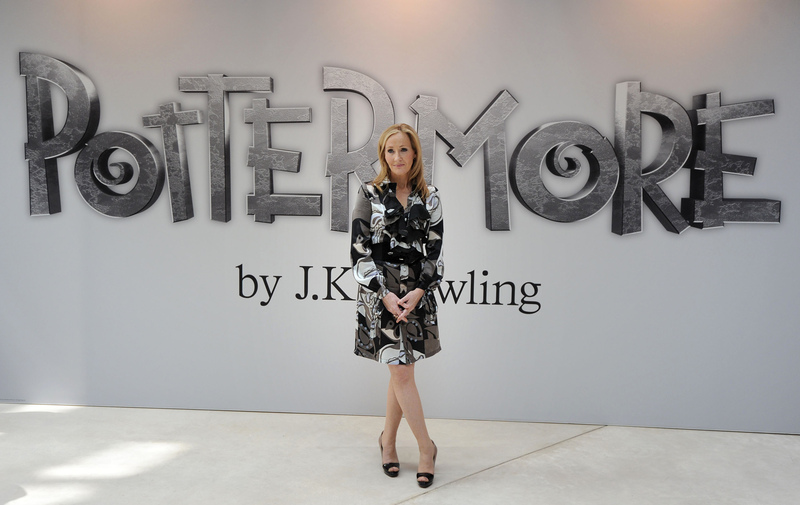 But I'm afraid I've got bad news: at present, Pottermore aren't releasing any hard copies of the ebooks. Ever since the release, fans have been clamoring for physical copies — and the Pottermore Twitter account has been overrun by requests. Sadly, the answer has been the same each time: it looks like we're stuck with the ebooks for now. Perhaps if we ask J.K. Rowling very nicely, she might help us out here? The Pottermore Presents ebooks are filled with forgotten details and backstories about the beloved wizarding world — like Minerva McGonagall's family history, the true meaning of Azkaban, and the location of the Hufflepuff common room. Even if we have read it all before on Pottermore, it's still wonderful to dive back in all over again, and be reminded quite how rich and magical the world of Hogwarts really is. The second Pottermore announce hard copies — count me in!